Bone marrow in a spongy, soft gelatinous tissue that is present in the centers of bones. The bone marrow is of two types: red bone marrow and yellow bone marrow. Bone marrow cells are responsible for making blood cells (RBCs, WBCs, Platelets) of the body. The cells that produce blood cells are known as stem cells, which are also of two types: mesenchyme (responsible for producing fat, cartilage and bone) and hematopoietic (responsible for developing blood cells). Chemotherapy, damage bone marrow adversely. These diseases may occur due to genetics or environmental factors. Bone marrow once damaged could lead to severe treatments like blood transfusion or even bone marrow transplant. 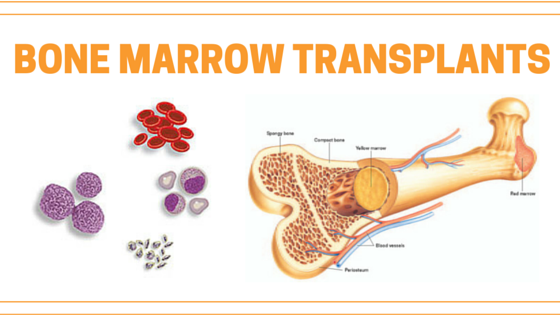 Bone Marrow transplant is a treatment process in which stem cells are provided to the patient. These stem cells can be donated either from siblings if matched or from the umbilical cord. The chance that the bone marrow of siblings match is around 25% -30 %. Bone marrow transplants are not just complex in nature the cost for bone marrow transplant is huge. Being such a crucial treatment the need of experience as well as various specialists to look after the patient increase which is not accessible and affordable to all. Graft failure – In this case the donor cells are not able to produce new cells in the receiver’s body. Damage to vital organs such as eyes (cataracts), etc. Apart from all these one of the major concern is the cost for bone marrow transplant in India which is very high. The costs start from Rs. 7.5 lakhs and could go up to Rs. 25 lakhs. In India only 5% of the population can actually afford bone marrow transplants. If the state supports and subsidizes the other 25% in the middle class can consider only in case of urgent priorities. The others have no access both due to high cost as well as absence of resources and information. Most patients have to go through a long recovery process. They spend number of weeks in hospital as they need to be carefully monitored. There could be a few side effects that need to be kept a check upon. Once released from hospital they still need to frequently get follow-up and check-ups.